MO Auto Detailing of Doylestown, Pennsylvania was born from a passion of all things automotive. It is this passion that took me from the old rusted can of Turtle Wax to some of the finest automotive detailing products available. Over the last seven years I have learned, trained and honed my skills through many mediums and I continue to learn and improve to this day. We live in such a fast paced world that businesses often forget that their customers are people. My goal is to not treat you as a number but rather as a valued client. Your business is the only reason I am in business! I genuinely try to do the best I can to make sure you know exactly what to expect. I always encourage potential clients to enquirer about consultations. The difference a proper automotive detail can make is astounding and often unrealized until you see the final result. I will treat your vehicle with the utmost care whether it is receiving a wash and wax or full paint correction. I treat every vehicle as if it was my own. 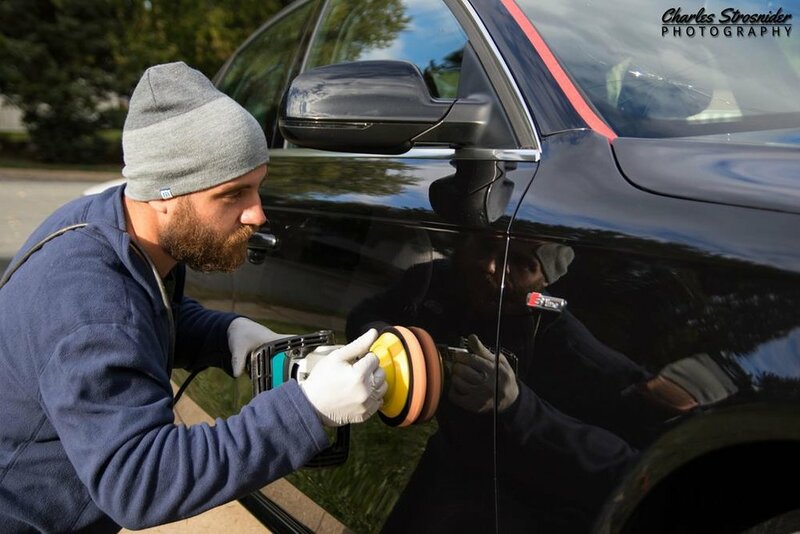 Whether you are interested in show car preparation, looking to restore faded and oxidized paint or you want to limit the wear and tear on your daily driver, M.O. Detailing will work with you to meet and exceed your expectations.